So, I'm thinking about writing a children's book titled The Very Hungry Jockey. You know, right? Like how jockeys are on such a strict diet regimen so they can be as lightweight as possible to stay competitive for horse racing. Just enough nutrients go down the gullet so as not to pass out during a race. Hey, I read Seabiscuit. So I know how this kind of thing goes down, people. Maybe the sub-title could be Let's Count Our Fingers. Because it could be both an educational story as well as a cautionary tale. Oh hey, I just Googled the title and didn't get any hits*. Dang, this could be my gateway book into the big time of being a published author. I'm feeling inspired, y'all. *However, my search results did come up with the phrase I'm so hungry I could eat a horse and chase the jockey. Heh, never heard that one before, not the chase the jockey part anyway. What a good idea. My mom wants to get published and is work on a book too. Don't know if she will ever get it done. She always has too many projects goin on at once. Love it LOL! Super cute photo and great book idea!!! So funny. 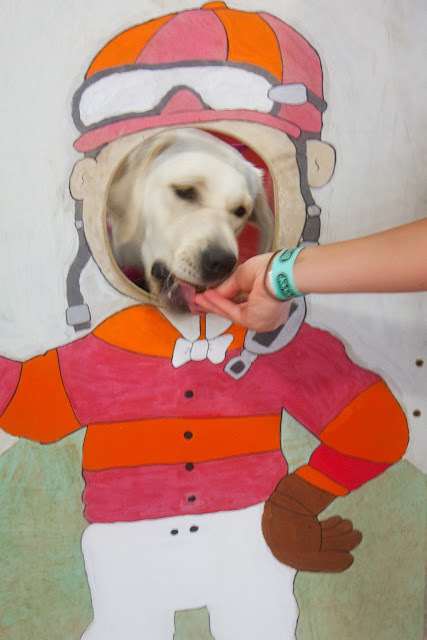 My lab Cookie looked just like that and loved treats. Exactly what advisable. My personal mother really wants to obtain released and it is focus on the guide as well. Have no idea in the event that she'll actually take action. Your woman usually offers a lot of tasks goin upon at the same time.